At Mitech, our goal is to provide the highest quality gates that are made from the very best materials, all at a budget to suit your needs. We plan, design and manufacture your gates on site to ensure our high standards are met every time. We take our business seriously because keeping you safe and secure is our primary aim. 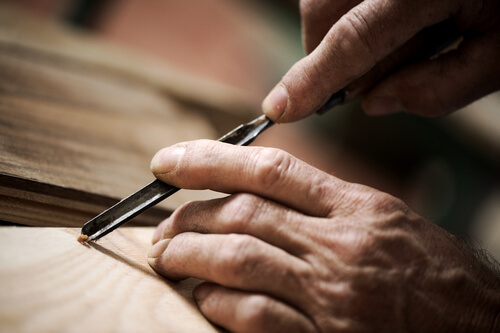 All of our wooden gates are created and expertly crafted to ensure you get the very best gateway available. Not only do we have a wide range of gates; including wooden hardwood gates and electric gates, we also have a broad range of materials for you to choose from for your gate. This is a modified soft wood that is highly durable and very suitable for your gateway needs. With a lengthy lifespan, you can rest assured that this gate will stand the tests of time over the next fifty years or so. This type of wood is very sustainable and even keeps insects and bugs at bay. This wood features an irregular grain, but looks beautiful in colour. An acquired taste, this wood is tough to source which makes it more expensive than others around. You need to be wary on which metals it is paired with, as you can experience violent reactions around any ferrous metals (containing iron). This wood is capable of soaking up excessive amounts of water, and although it looks similar to mahogany; it is much cheaper to purchase, paints well and provides the highest quality finish. Iroko is one of our most popular woods for use in gate making. This tropical hardwood is hard wearing, durable and cheaper than oak. It looks good however it is treated, and, whether painted or sprayed; serves as excellent value for money. Softwoods such as pine, deal and redwood make excellent quick fix solutions to your gateway problems. They need to be treated with care but are also some of the cheapest available timbers around. Whatever wood you choose for your gate, choose Mitech for a quality gateway that is built to last. For more information, please contact us today for a chat.